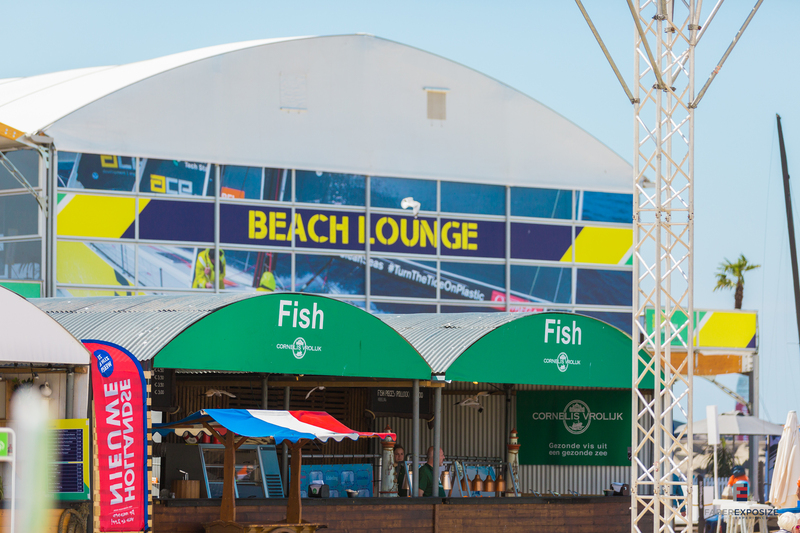 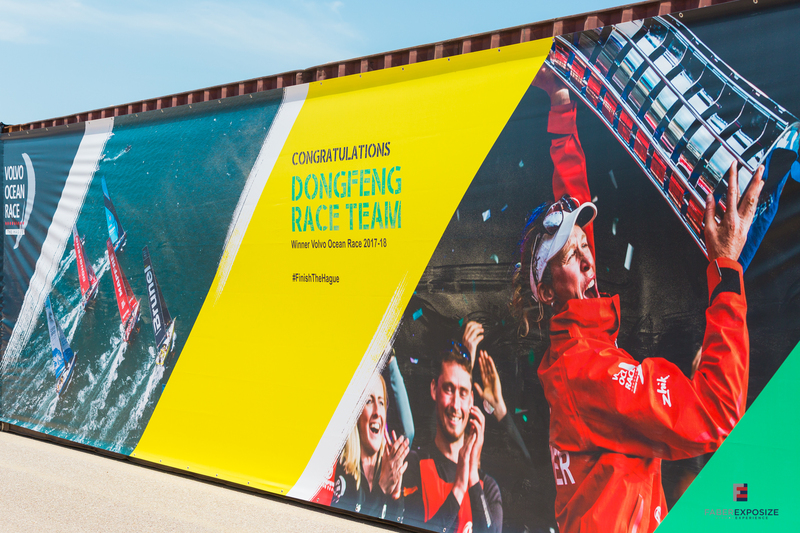 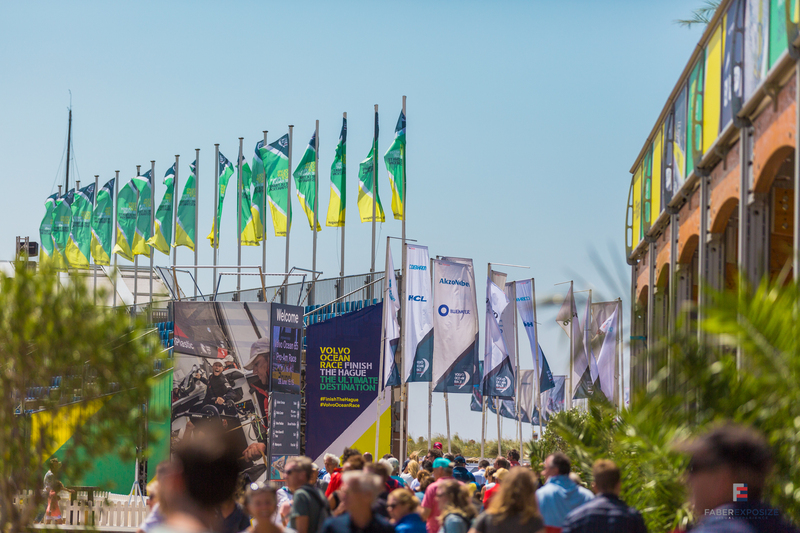 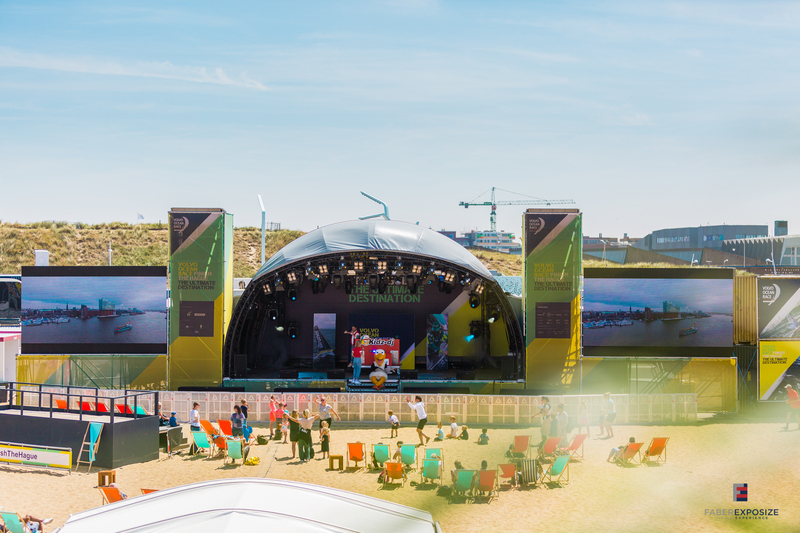 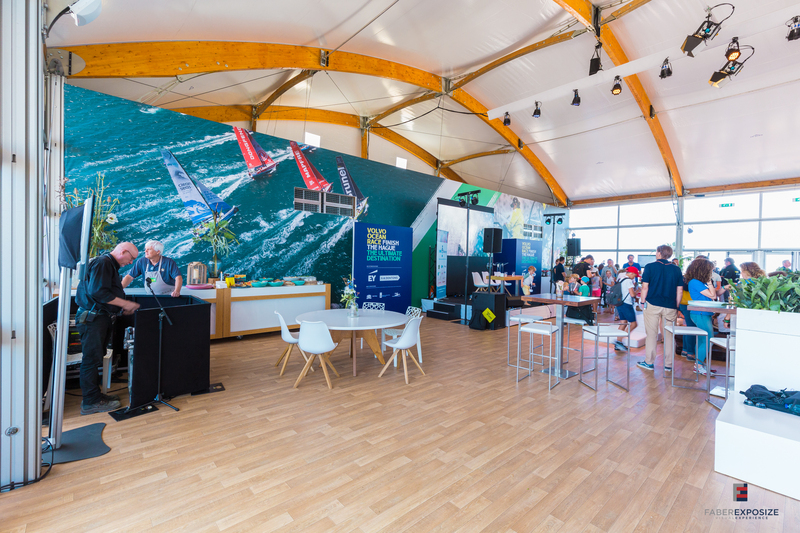 The FaberExposize group, has once again completed a full event branding project for the Hague’s Volvo Race Village, covering 50,000 sqm with custom branded materials. 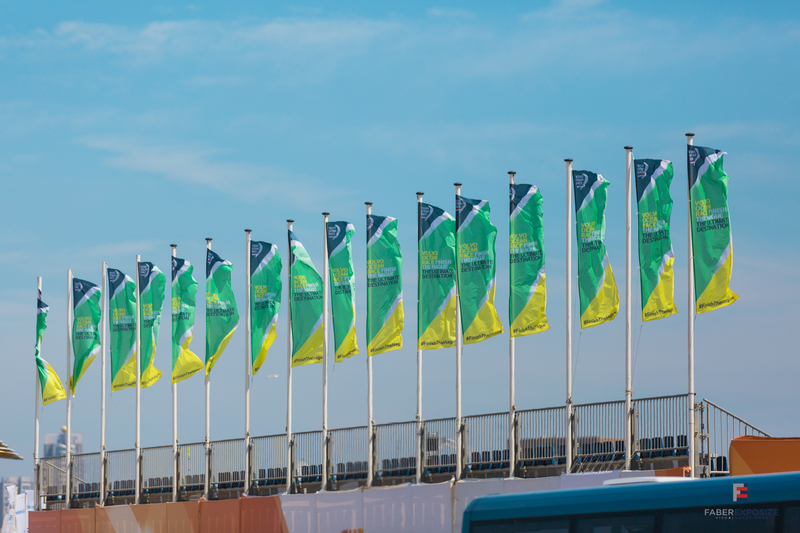 The Hague was the final stop of the race where thousands of visitors watched the final. 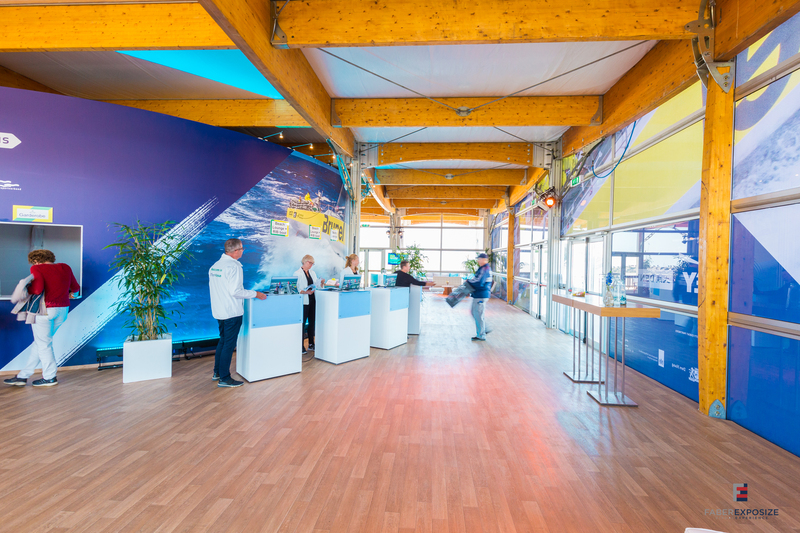 Vinyl cling stickers, balcony branding and internal venue branding.